Contains Sizes: .50", 1/16", 5/64", 3/32", 7/64", 1/8", 9/64", 5/32", 3/16", 7/32", 1/4", 5/16", 3/8". Extra-long length offers greater access to hard to reach fasteners. 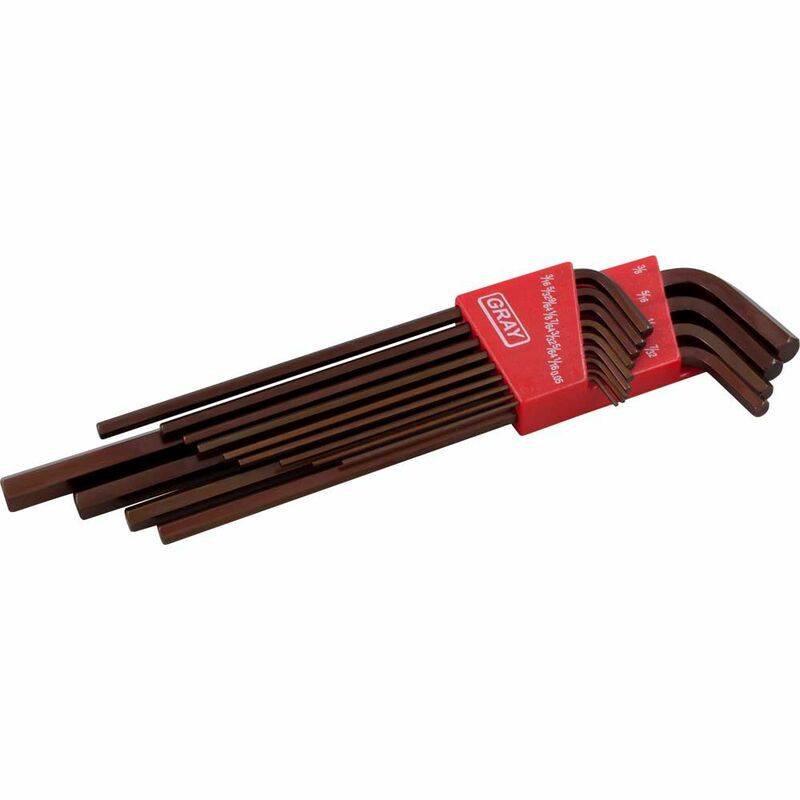 13 Piece Sae Extra Long Arm Hex Key Set The short ball end hex keys in this 13 piece SAE set are made from premium S2 steel for superior durability and corrosion resistance. Gray hex keys deliver up to 33% more torque than ordinary hex keys. Backed by Gray Tools worry-free lifetime warranty.